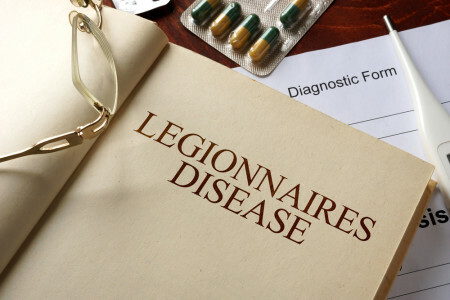 A 2015 outbreak of Legionaries’ disease (LD) in New York City resulted in 12 deaths and over 120 reported cases of the illness. The tragedy was caused by Legionella pneumophila, a bacterium identified and named after a 1976 sentinel event outbreak in Philadelphia during an American Legion Convention where 34 people died from this type of pneumonia. Legionella bacteria are common to wet environments such as rivers, lakes, and streams with moderately elevated temperatures. The bacteria can be killed by treatment with high temperatures and chemical disinfectants. While drinking infected water is not hazardous, inhalation of infected water aerosols can be. Inhalation of cooling tower mists that escaped from rooftop mechanical systems on hospitals and schools in the area was found to be the source of exposure in New York. The Centers for Disease Control and Prevention (CDC) has reported that cases of LD are increasing, with the number of reported cases rising from 1,100 in 2000 to 4,954 in 2013. The CDC believes that illness from LD is considerably under-reported because cases are only investigated if considered to be part of an outbreak. The CDC estimates that 8,000 to 18,000 persons are hospitalized each year with the disease. As cases of LD are reported it is important that the public understand the issue and that facility owners, managers, and operators who are responsible for safely maintaining water systems are educated on the changing nature of system regulation. Terracon’s industrial hygiene consultants work together with clients to proactively address potential LD threats. To comply with the standard, building owners are required to form a team to develop a Water Management Program for all covered systems. However, the ASHRAE standard does not require preemptive bacterial testing to determine if system treatment is controlling Legionella. Program components must include maintenance, treatment, and a written contingency plan to be followed if an outbreak of LD is known or suspected to be associated with the system. Following the release of ASHRE Standard and outbreak of LD, the New York State Department of Health quickly (August) enacted emergency regulations requiring building owners to comply with the Contingency Response Plan in Section 7.2 of ASHRAE Standard 188-2015. This includes registering their cooling towers and testing for Legionella within 30 days of enactment. 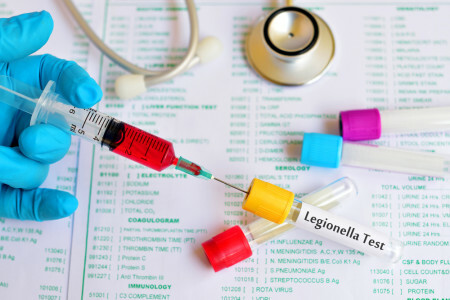 The emergency regulation also requires ongoing inspections every 90 days and immediate disinfection once a culture sample tests positive for Legionella bacteria. Also this year, the American Industrial Hygiene Association (AIHA®) published a guideline called Recognition, Evaluation, and Control of Legionella in Building Water Systems. The AIHA® approach requires inventorying system components and sampling building water systems for Legionella to prevent outbreaks of LD. The AIHA® philosophy complements the ASHRAE standard by suggesting that some level of testing is necessary to ensure that system control measures are effective. Enlisting the experience of a partner like Terracon to help is a modest upfront investment that can save lives. Terracon brings nationwide industrial hygiene expertise and certification along with experience partnering with clients to identify LD, indoor air quality, and other environmental concerns and develop solutions before clients’ businesses are impacted.